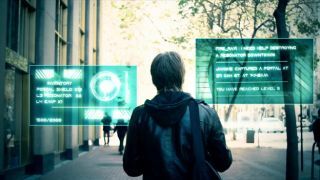 Ingress developer Niantic Labs proved that augmented reality games can be successful on mobile devices. Now, it intends to help others follow its path. The internal startup within Google is putting together a series of APIs to encourage other game developers to pursue their location-based ideas for players, according to The Verge. Ingress, now on one million Android devices, pits players into one of two factions and has them visit real landmarks around the world in order to claim fictitious open portals or take over enemy portals. While it has a sci-fi story attached to it, the Ingress team illustrated that by turning its year-old game into a platform for other developers, something like a vampire-themed game could be born. In this scenario, players would be tasked with capturing cemeteries and blood banks instead of Ingress' landmarks. All it would need from then is be developers' imaginations and players' willingness to go along with the new ideas. Combining virtual games with real-life exploration means that developers could fund their projects through in-game advertising tools, as players are actively visiting targeted locations. "The idea is that we would like to explore this concept of sponsors essentially being able to get exposure across a wide number of titles, but have a consolidated entry point for them," Niantic head John Hanke said. The idea for an open platform that spawns additional location-based games still seems to be in its infancy; there are no firm dates attached to turning the Ingress platform on. There's also no timetable for an open platform and, at one year in, Hank noted on his Google+ profile today, "the world is discovering Ingress." For now, the team has to focus on the iOS version of its so-far Android-only massively multiplayer AR game. Ingress is expected to branch out to Apple devices in 2014. But there seems to be a portal to where this location-based developer is headed in the future.